Wow, I almost forgot to write a happy list for this week! It’s been a big one as we’ve celebrated the Little Mister’s fourth birthday! 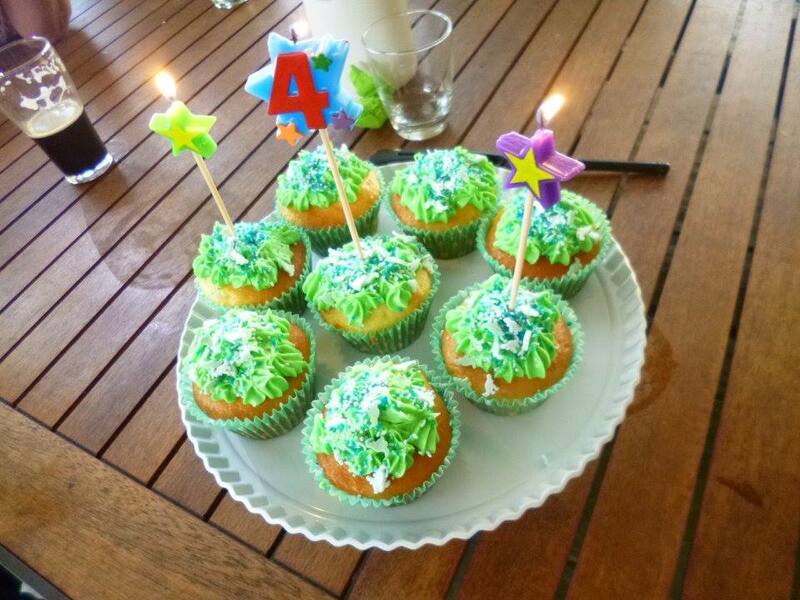 He didn’t have a birthday party this year and as family and friends have been all over the place, we’ve simply decided to celebrate his birthday over and over in smaller ways, the lucky thing. We wanted to do something special with the Little Mister (in lieu of a birthday party) that he would remember, so the day after his birthday, we decided to surprise him with a trip to the aquarium. It’s a bit of a trek from our place and something different. We didn’t tell him that his uncle, aunty and cousin were coming – he knew nothing! He asked where we were going a few times on the drive there, but he just seemed happy to be along for the ride. When we got there, he was so happy he was wriggling with joy to see his uncle and aunty. Then we got in the doors to pay to get in and he was all, “WOW! WHAT IS THIS PLACE? !” with so much wonder and joy in his voice. 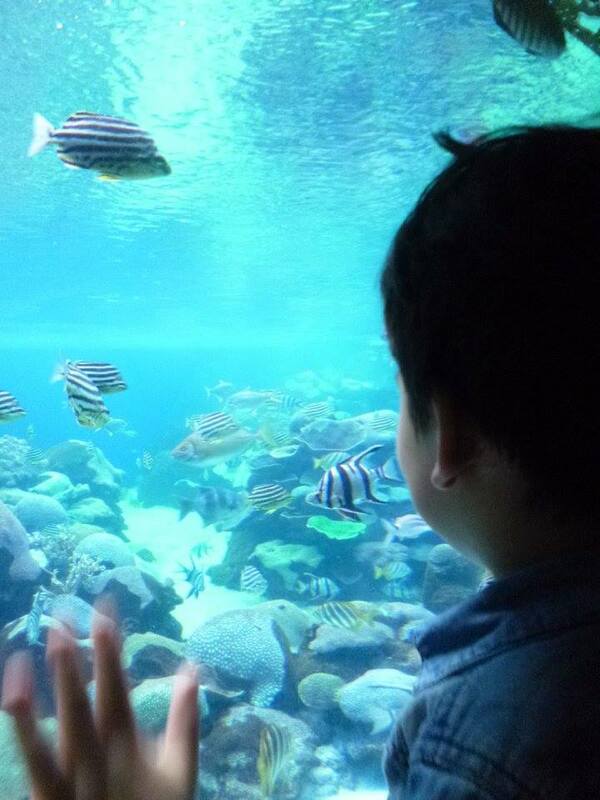 He has been to an aquarium before (in Korea) but he had never been to AQWA and we knew it would be the last thing he’d be expecting. He loved the experience (almost as much as he loved the conveyor belt thingy that takes you around underwater) and he forgot his indoor voice a few times! Afterwards, we went for burgers and ice cream. It was honestly the most lovely day and I was so glad we got to give it to him. He slept all the way home in the car! We are so appreciative of all the messages, Face Time sessions (from those who can’t be close by), gifts and hugs that the Little Mister has received this year. He’s a very lucky and loved little guy. He got to see his grandparents (my inlaws) for Friday Fajitas (our little tradition) and cupcakes on his birthday and he got to spend quality time with his great grandparents too. Not to mention AQWA. He’ll see my parents next weekend when they are home from one of my dad’s work trips. Um hello – birthday WEEK! 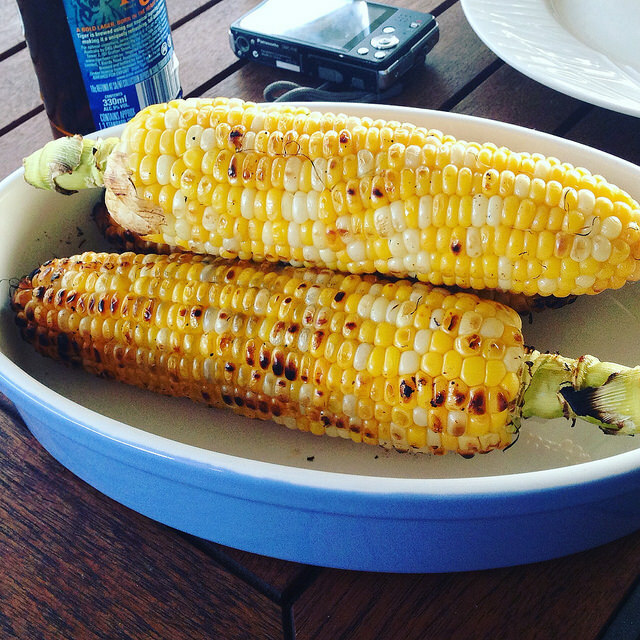 Barbecued corn – seriously. Makes me happy. I’m not kidding. I live for it. Even when it’s cold in the fridge the next day, I do not care. YUM. I was prepping to surprise the Little Mister on his birthday morning with a bunch of green/dinosaur themed balloons. He had asked for balloons for his birthday a little while back. I kind of went all out because I knew he wasn’t getting his gifts until later in the day when Mr Unprepared got home from work. Turns out, it’s more embarrassing than you think to get helium balloons from the inside of a busy shopping centre to the car. I had them in a trolley and I couldn’t see where I was going and little kids everywhere were enchanted and it was bloody hilarious. I looked like a freakin’ idiot. Even better when the breeze kicked in just as I got to the car! I’ve never laughed at myself so much (actually I probably have – have you met me?). Betty has been saving my arse for a while – she’s my secret weapon! Having visitors meant I had to kick myself up the bum and clean everything. My house is nice… for now haha. The fact that I am sitting down to write this. So nice to take a breath! The Little Mister putting me to bed when I said I was tired. I had to lie down, have a blanket put over me and I was given a cuddle toy. He then ran out of the room. Which then worried me and I thought I’d better find him haha. But still, it was quite sweet I think! Knowing there are some fun things ahead this month AND THEN IT’S DECEMBER WHEN I LET MYSELF GET EXCITED ABOUT CHRISTMAS!